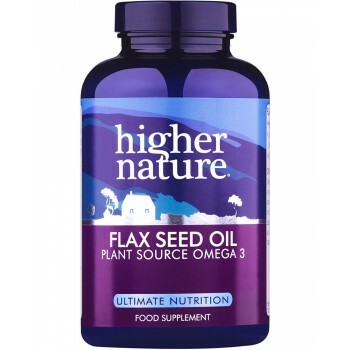 Unrefined Higher Nature Flax Seed Oil is rich in the Omega 3 essential fatty acid (EFA), alpha-linolenic acid – typically 50-65%. 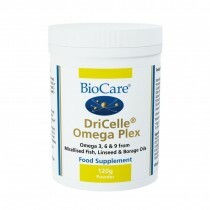 It is also a good source of Omega 6 and Omega 9, and contains mixed tocopherols (especially gamma tocopherol) and tocotrienols. 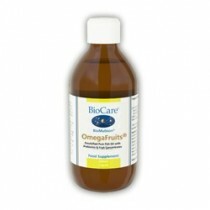 Omega 3 and 6 support a healthy heart, arteries and brain. Fatty acids make up the walls of every cell in the body and make hormone-like substances, important for many important body processes. Take 1-3 capsules, 3 times daily. 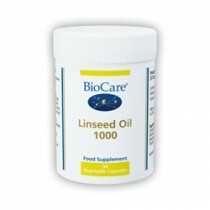 329mg Alpha-Linolenic acid (Omega 3 EFA), 103mg Linoleic acid (Omega 6 EFA), 103mg Oleic acid (Omega 9 FA).